Lake level down 2 feet. There are many anglers that visit Alabama’s Jordan Lake for the first time, not knowing they have stumbled on one of Alabama’s best Lakes for targeting the Coosa River breed of spotted bass. 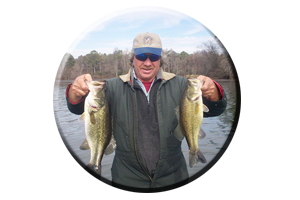 There are some Alabama anglers have fished Jordan Lake for years and many of these astute anglers can say, they do know how to fool these spotted bass into biting. But many anglers still lack the bragging rights of a true, trophy seeking bass angler. These hearty bass have made quite an impression on many anglers, some that have the honor of experiencing their first fight with these tenacious fighters. Just landing a 6-7 pound spotted bass is a feat and an experience all within itself. 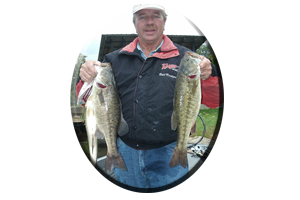 These are true, trophy sized spotted bass (those exceeding 5 pounds), a bass that any angler would be proud of and talk about for years to come. That is, if they are fortunate enough to get it in the boat! 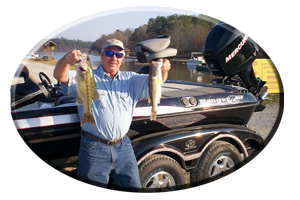 Jordan Lake’s so noted, Coosa River breed of spotted bass often draw all the attention of these trophy bass anglers. Anxious anglers, that often travel miles to this lake in their search for that bass of a lifetime. But going blind as they say, often has its downfalls especially when visiting a lake for the first time. There are only so many hours in a days fishing and without any prior knowledge of the bass species you are seeking…its often ends with failure. So heres some fishing tips, places to target and suggestions for you first timers to Jordan Lake, or for you anglers that are just plain stumped after fishing Jordan Lake for years. There are certain lures, lure colors, lure sizes and even lure actions that help narrow your search. Applying certain fishing techniques and mapping out several places to target, when searching for these ever roaming schools of spotted bass this fall season, is next in this recipe for success. Ask most anglers and this is all they need to know. What lure are they hitting? Where do I need to go to find the fish? As a fishing guide, when coming off the lake or when at home, I hear these two questions more than all others. Why? Well, these are the basics of all bass fishing. If an angler is fishing the right lure in the right place, he will catch fish! But equally important is knowing the right depth to be fishing, locating the places with the correct water temperature, knowing the current situation, the weather conditions and many other variables are important as well. So to eliminate fishing useless water put all of these variables together including the right lure and the right place, and you will be headed in the right direction. What lure? Where do I go? 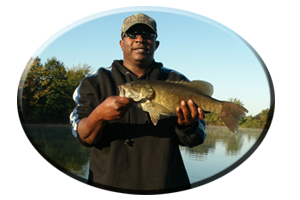 This is the place to find some of Jordan Lakes really big spotted bass. This fall season and on into the early winter period is the time of the year many anglers find is the best time to be fishing the lakes headwaters. The lakes headwaters feature a rocky, boulder strewn terrain with rock bluffs eventually dropping into deep water, perfect habitat for spotted bass. These Jordan Lake headwaters feature plenty of current coming off of upper Mitchell Lake dam, plenty of oxygen and plenty of prey these spotted bass eat, like baitfish and crayfish. So, your lures should mimic these meals and anglers should be very select when it comes to choosing lure colors, lure size and the action of each lure. Of course with today’s wide array of fake offerings and hundreds of tempting morsels in all shapes, actions, colors and sizes to choose from, it can get confusing. Keep it simple. Start with the basics, like lure choice. This usually boils down to each anglers preference more than that of the bass. But in order to be an excellent angler in all aspects of fishing you have to adjust. That is, if you want to be successful at even fooling these often very picky spotted bass into biting your lures. Lure selection, when fishing Jordan Lakes headwaters during the fall and early winter season, always involves another aspect many anglers overlook. Water Clarity. Clear water can mean downsizing your lures or it can call for the opposite, going to the extreme and fishing oversized lures like big, gaudy looking topwater lures, or big spinnerbaits, oversized deep diving crankbaits or other oversized off the wall lures. Small, would mean having to choose from a wide selection of lures. Far to many choices. So like said, keep it simple. Small worms or lizards rigged on jig heads for instance are excellent lure choices when fished on light tackle outfits. Most anglers opt for this selection when faced with a very clear water situation or during tough fishing conditions, like fishing after a cold front. and Root Beer are also good lure colors. But what if an angler is faced with swift, stained to muddy water conditions? Will finesse fishing be as productive? Maybe, but not as likely in these lake headwaters, not as good as other lure choices could be. Although finesse fishing with small lures is often productive in off colored water or just fishing with a plain old Texas rigged worm (whatever happened to purple fire tail and motor oil chartreuse tailed worms?) on Jordan Lake, there are other lures that display fish attracting qualities that work better in stained to muddy water conditions. Like spinnerbaits with big blades and bright colors. Or buzzbaits that make lots of noise and attract bass from far away in stained water. Chartreuse or chartreuse and white is the best colors for either of these lures in stained to muddy water conditions. Keep in mind these bass eat lots of baitfish in these lake headwaters and shad colored lures are good choices. But so are bream colored lures, minnow type lures and lure colors or shapes (like jerkbaits), or even crayfish colored lures. Crayfish are high on the fall menu for these spotted bass. Within all the rocks, boulders, rip-rap rocks and rock bluffs in these lake headwaters are crayfish of all colors and sizes. Brown, green, black, blue and lighter colored lures work very well in these lake headwaters. Always include a bit of red or orange (like on the belly of crankbaits and rattle traps) on crayfish imitating lures. Size matters too. Small crayfish are often consumed, for their size and the fact that they are easier for these spotted bass to catch, much easier than bigger crayfish. Spotted bass do have small mouths. Small plastic crayfish rigged on a jig head, Texas rigged, Carolina rigged or even drop shot rigged works very well. Or try jig combos, like a jig with pork trailer or soft plastic chunk trailer, or add a twin tailed grub or plastic crayfish to the back of a jig, to maybe fool some Jordan Lake trophy size spotted bass this fall and early winter season. Other lures to try in these lake headwaters? Jigging spoons in sizes of 1/4 ounce to half ounce are great lures to try on 14-17 pound test line, in the fall season and when waters cool in the winter. Bring plenty of spoons for they do hang up and you will lose some in these rocky bottomed lake headwaters. Crankbaits are good lure choices when fishing the banks of Jordan Lake in these headwaters or when fishing open water away from places out of the swift current like points, flats and other eddy areas. Be sure to use 10-15 pound test line and sharpen or replace all hooks on your crankbaits. Rig three rods with shallow divers, mid runners and deep diving crankbaits to determine the days preference on crankbait depths. Floating or suspending jerkbaits are excellent lures although not very many anglers even try these lures. They do work you, while working them in a days time, with a constant stop and go action achieved while applying a jerking and pausing type method. Which is needed to generate instinct strikes from these lure conscience bass in these lake headwaters. Topwater lures may at their best during the fall season and even better during the early winter period. But is bigger better? Like said, spotted bass do have small mouths, but so do their cousins the smallmouth bass and both bass species have been known to hit oversized topwater lures. Ask any angler that has done battle with either of these bass species and I’m sure they can relate. So simply rig two or three rods. One with a big topwater lure like a zara spook and the other with a smaller offering like a baby torpedo (prop bait), or a popping type topwater like a pop-r. Keep the bigger topwater lure hanging off the rod tip and always laying at your feet for the fast and furious action of schooling bass, they often erupt in these lake headwaters during the fall. Big topwater lures are great lures for getting distance with your casts. The list goes on. There are many, many lure choices today and it can boggle the mind when stocking up your tackle box for the trip of a lifetime, so bring plenty. Especially if you plan on probing the lakes bottom with bottom grabbing lures. Worms come in all sizes. So do lizards and other creatures these bass feed on. Tube baits simulate baitfish and crayfish so bring plenty of colors and sizes as well. Creature baits have several trailing legs, arms or appendages and they are good lures in stained water conditions. Fish Jordan Lake this fall season and discover the Coosa River Spotted bass action to be found in these lake headwaters. But also explore the lakes wood cover and weedbeds for some big largemouth bass exists here as well. Or call on Reeds Guide Service…first! (205) 663-1504 “Fishing and guiding on Jordan Lake and other Alabama Lakes for over 40 years.” Remember, a guided fishing trip with Reeds Guide Service also makes a great gift for Birthdays, Father’s day or for Christmas (certificates available), for those loved ones that love to fish. Or call on Reeds Guide Service…first! (205) 663-1504 “Fishing and guiding on Jordan Lake and other Alabama Lakes for over 40 years.” Remember, a guided fishing trip with Reeds Guide Service also makes a great gift for Birthdays, Father’s day or for Christmas (certificates available), for those loved ones that love to fish.